Flower Magazine published my article “Pensacola Art in Bloom” as a Web Exclusive article. 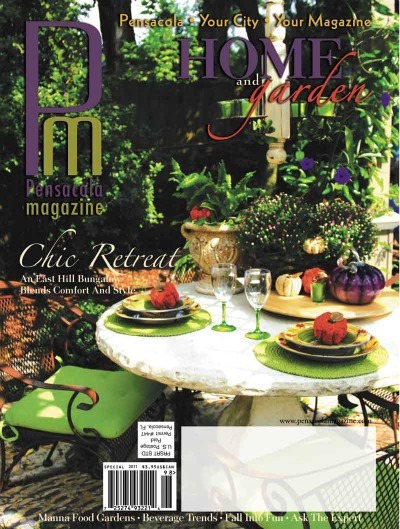 Growing Up, an article about espaliers, was featured in the Fall 2007 issue of Pensacola Magazine. Let It Flow, Conserving Water with Purposeful Irrigation, was published in the Spring 2008 issue of Pensacola Magazine. “The Lure of the Land”, was published in the Summer 2009 issue of Southern Breeze Magazine.